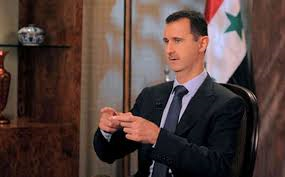 New revelations have emerged confirming that Israel is responsible for the 2008 murder of a top security aide of Syrian President Bashar al-Assad, according to secret US intelligence files. Brigadier General Mohammed Sleiman was shot in the head and neck on August 1, 2008 by a small team of Israeli commandos as he enjoyed a dinner party at his luxury seaside home on the Syrian coast, said The Intercept website, citing the leaked files. The Israeli military team then escaped by sea. "The internal National Security Agency document, provided by former NSA contractor Edward Snowden, is the first official confirmation that the assassination of Sleiman was an Israeli military operation," . The NSA's internal version of Wikipedia, "Intellipedia," described the assassination near the port town of Tartus as the "first known instance of Israel targeting a legitimate government official," according to The Intercept. It cited three former US intelligence officers as saying that the document's classification markings indicated that the NSA learned of the assassination through surveillance. In 2010, US diplomatic cables leaked by WikiLeaks and published by the Guardian newspaper said that Syria suspected Israel of the murder.The killing of Sleiman was kept secret initially by Syrian authorities and the Israeli government denied involvement.His assassination came 11 months after an Israeli air strike deep inside Syrian territory destroyed a shadowy facility that may have been one of the special projects that Sleiman managed.